Turn your swimming pool into that exotic retreat that you have always dreamed of. It is entirely possible for you to create any look which you desire, provided that you are willing to exert the effort and the time. Quite often a swimming pool will be the centerpiece of a backyard; it will function as the hub of the outdoors as the central spot in which everybody gathers for parties and get –togethers. So naturally you will want it to be as functional and as aesthetically pleasing as possible. Let’s introduce you to a few efficient tips in plant choice, fences, patio design and pool lighting to create the ideal swimming pool landscaping design. It is crucial that non skid design flooring is used for the poll area. This cannot be over emphasized as the best pool landscaping design is the design, which first and foremost, focuses on the safety of those who will use the pool. 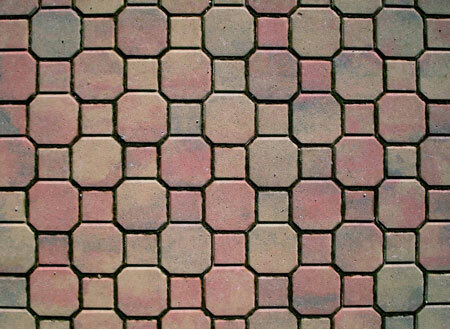 Pavers are definitely a better choice than concrete or bricks, as they are much more durable and will also allow for a greater variety of patterns and colors. Wood should be avoided at all costs, as it can be very slippery when wet, and there is also the possibility of splinters occurring from time to time. 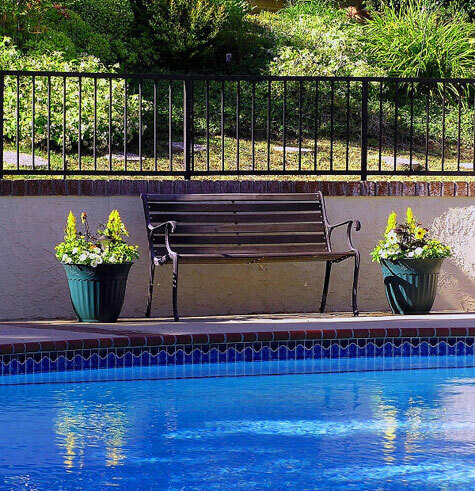 Plants are extremely adept at softening the sharp lines and adding points of interest around your pool. They are especially good at creating a themed effect by virtue of the wide variety and scope of plants which are available. Be creative in terms of plants as well as furniture, select plants which are low maintenance and will not cause excess debris in terms of fallen leaves. Placing colored stones or mulch around each plant. Hanging terra cotta containers bursting with blooms will look great hanging from a nearby fence as well. Pool lighting is an important part of your pool landscaping efforts, especially if you plan on swimming at night. Lighting is an important safety feature, and will also enhance the general ambiance, by creating a warm inviting space. Ideally, lights should be placed at the deep end of the pool, around the steps and the perimeter of the pool. You have a choice of halogen lamps, incandescent bulbs and fiber optic lighting. The choice of lighting for your pool is highly dependent on your personal tastes and preferences. This is mandatory if you have children or if children will visit you home from time to time. 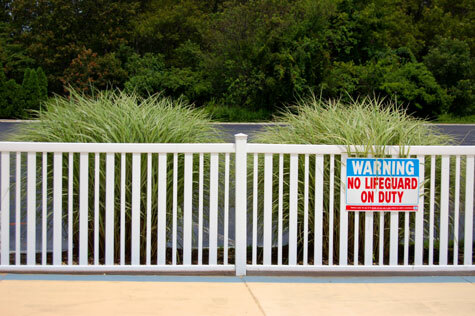 Proper fencing will provide you with peace of mind and you will be able to secure the pool at times when it is unattended. Fences do serve a dual purpose, however, as they are also great in creating privacy. For total privacy consider a fence deign such as overlapping boards or one with a tongue and groove design. If you don’t necessarily need so much privacy, then perhaps a lattice or a basket weave design might be more appropriate.